Are you getting hot at night and waking up sweaty and unrested? A cooling pillow (a.k.a. “chillow” or “one that never gets hot”) could help remedy that. They come in a variety of models, with different materials, covers and contouring designs. So, it can be tricky to know which is the best for you. But don’t fret! We have done our research and put together a complete guide on “cold” pillows. Did you know? 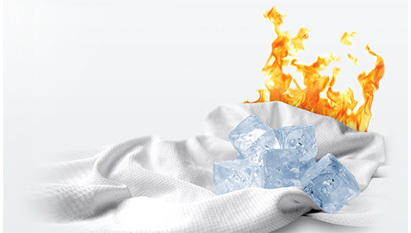 Cooling is considered one of the most important features – and most of the best pillow brands are fiercely battling for this market. Who Should Buy A Cold Style Pillow? In this post, we’ll show you how to choose one that works for you, who can benefit from them, plus we’ll review the top 8 cooling pillows on the market in 2019. If you’re in a hurry, check out the NestBedding ActiveX: This is my personal choice for over 15 months now, and I love it. It’s filled with memory foam, and with phase change covers it sleeps very cool. NestBedding created ActiveX with similar technology used in their fantastic Easy Breather pillow. The main difference is that this product uses phase change cover while the filling is identical. This cover can absorb more heat and acts as a temperature regulator. Aesthetically, it’s hands down the most appealing product we’ve tested in this category. ActiveX has a very soft and unique feel to it, and it’s one of the most impressive pillows I’ve slept on so far. You can even adjust the loft to your liking if you sleep on stomach or side. Overall, if you want a pillow with gentle and soft memory foam feel and with quality phase change covers that offers exceptional cooling features, ActiveX is definitely for you. What I like about Coop Home Goods is that they offer high-quality products at a very reasonable price. Don’t think that lower price tag means you will get less bang for your buck. When you get your hands on this product, you will immediately notice a soft feel of the bamboo cover designed to regulate your temperature while you sleep. Inside, you will notice finely shredded memory foam that’s breathable but still soft and supportive enough for most sleepers. You can quickly take some of the stuffing out to adjust the loft to your preference. And if it starts going flat, just throw it in the dryer for 10 minutes, and it will be nice and fluffy again. One thing to note is that this product is CertiPUR-US certified and hypoallergenic, meaning it’s resistant to dust mites and other allergens. In the end, Coop Home Goods pillow offers more breathability than ordinary molded memory foam products, and at this price, it’s hard to beat. This particular product contains the latest in memory foam technology: open-cell memory foam. This type of memory foam is more porous and open, meaning air is better able to travel throughout the material and dissipate body heat, regulating your body temperature. Along with Cool Gel, which creates a cold sleeping surface, and a knit cover that allows for breathability, this makes for a pillow that will keep you cool all night. This model is reversible, which means it can serve you all year round. For warmer nights, you can keep cool with a gel layer on one side, which helps to disperse heat and promote airflow. On colder nights, just flip it over, and take comfort in the memory foam that cradles your head, keeping your neck and shoulders in an optimal sleeping position. This pillow comes recommended for back and side sleepers. Classic Brands claims that the 5-inch loft supports the head at the correct height, regardless of whether you are sleeping on your back or your side. Plus, it keeps your head tilted in the right position while resting on your back, giving you neck and upper back support. It is also hypoallergenic, so it’s a good choice for allergy sufferers. For easy cleaning, it comes with a zip-off cover that is machine washable. Customers rate it highly for back and neck support as well as for its cooling effect in hot climates. Some reviewers, on the other hand, say that the gel side does not stay cool throughout the night, and claim that the gel pockets are too few. 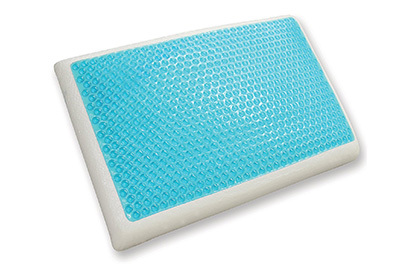 This memory foam gel pillow has a contoured design with a memory foam interior, which helps it to maintain its shape. It is highly recommended for side sleepers. The contour design plus the memory foam will help to support your head and neck, while molding to the shape of your body, providing excellent support all night long. 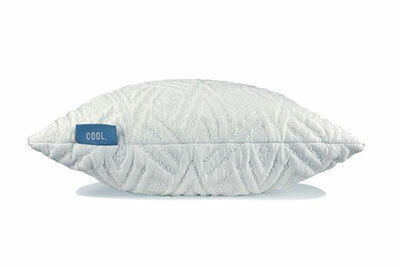 The cooling gel pillow disperses heat away from your head, helping you keep cool throughout the night. It is hypoallergenic and dust mite resistant. Customers have rated it highly for relieving neck and shoulder pain and for keeping you cool at night. Quite a few people have commented that it is tiny, however. This orthopedic pillow from Laniloha gives you the best of both worlds – it is designed to relieve neck pain as well as combat night sweats (aka, a soaked pillow). Made with a solid memory foam core, it contours to the shape of your head, relieving pressure on your neck, back, and shoulders. 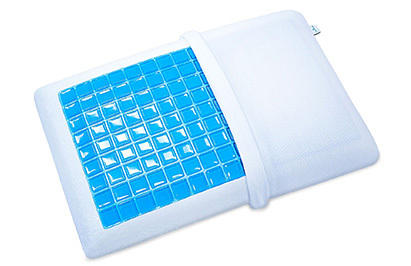 On top of this, this pillow will keep you cool and refreshed with Cool Gel Technology. Plus, it is made with an eco-friendly bamboo cover, which is both softer and 4 degrees cooler than cotton. Lanihola claims that the orthopedic design can help combat snoring and migraines as well as neck pain and insomnia. What’s more, it is suitable for allergy sufferers, as this pillow is hypoallergenic. 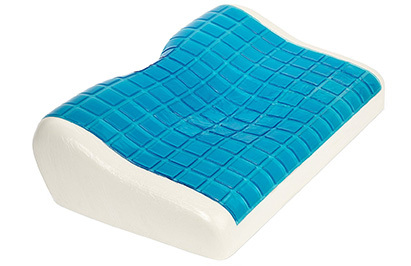 Many reviewers comment that this pillow is excellent for those who want firm support. For those who prefer a softer, fluffier pillow, however, this probably isn’t the one for you. Bear in mind that this pillow comes in queen size, which is slightly larger than a standard pillow. 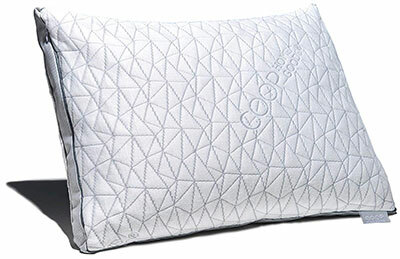 PharMeDoc is another reversible pillow with cooling gel for warm nights and memory foam for cooler nights. The thermo-regulating Cooling Gel diffuses heat for a cooler sleeping surface, pleasant feeling throughout the night while the soft memory foam provides head and neck support, reducing painful pressure points and helping to maintain correct alignment of your spine. It's been recognized as the go-to menopause pillow but isn't just limited to that. The removable hypoallergenic pillowcase makes for quick and easy cleaning, plus it’s a good choice for those with sensitive skin. Many customers reviewed it positively for its cooling and comfortable qualities as well as its low price. The majority of the negative reviews are due to an unpleasant smell initially (which is commonly reported with cooling pillows). PharaMeDoc does advise, however, to air out your pillow for 24-72 hours before using to eliminate the odor that is associated with brand new memory foam. 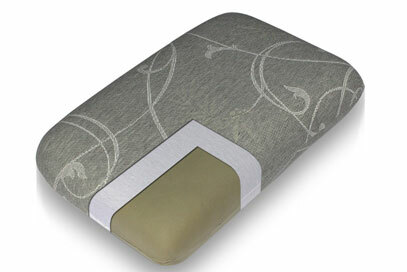 This Xtreme Comforts Slim pillow is an excellent choice for stomach sleepers or for those who prefer a thinner pillow. It contains shredded memory foam, which creates a softer and more “fluffy” feeling, as opposed to the firmer solid memory foam. The memory foam still conforms to the contours of your head and neck, which promotes proper back, neck, and spine alignment. It comes with a bamboo cover, which is softer than cotton and provides excellent airflow and breathability, which keeps the surface of the pillow cool. So, no more sweaty head or face, plus extreme comfort! It is also hypoallergenic, dust mite resistant, and machine washable. 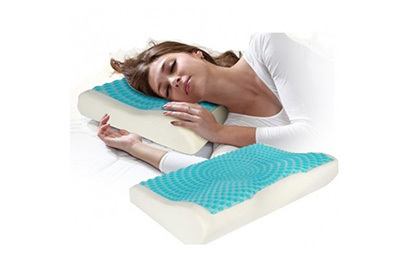 Many customers are highly satisfied with this pillow for relieving their neck pain as well as its fresh, cooling effect. It is not for everyone, though – some people find that this pillow is not supportive enough. This pillow from Perfect Cloud is designed to do just what it says in the name: provide you with a sleeping surface that feels as if you are sleeping on a cloud. It has two sides, one with a cooling gel layer and one with comfortable memory foam. Either way, it will gently cradle your head and neck, reducing pressure on the neck and spine and providing support. There are also ventilation holes and a gusseted design which keeps your pillow cool and fresh throughout the night. Lastly, this pillow is hypoallergenic and dust mite resistant. Many people find this pillow good for neck support. However, there are a fair few people that do not find it particularly cooling. Many cold pillows come with an external gel layer or, perhaps less commonly, with a water layer. Through the process of conduction, these work by absorbing body heat from your neck and head, dispersing it across the gel or water layer, thus leaving you with a cool feeling. Gel pillows are commonly used and usually come as a combination package with memory foam for ultimate comfort. The cooling performance of the gel depends a lot on the quality of the model. As for water options, the good thing is that they are usually customizable, firm and they shape themselves to contours. So, they can offer excellent support for your neck and back. The downside to these pillows they can be heavy and somewhat noisy if there is any air in the pouch after you fill it. For light sleepers, this can be bothersome, but it can be solved by removing the air. Gel models cannot be machine-washed. You can wash them by hand and leave them to air dry. Water-based pillows can usually be machine-washed and air-dried, but you must remove the refillable pouch beforehand. Some cooling models are made from breathable materials, such as buckwheat and bamboo. These materials do not retain heat and enable airflow. This means that warm air does not build up inside the pillow. Plus, the airflow leads to evaporation of moisture, which has a refreshing cooling effect. Buckwheat style contains thousands of processed husks, which are not easily depressed, so they provide firm support. As these options have no synthetic cooling agents, they are often hypoallergenic, meaning they can be an excellent choice for people with allergies to synthetic materials. 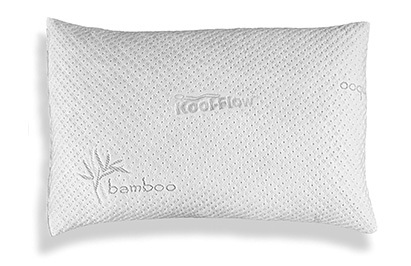 Bamboo pillows usually consist of a soft bamboo outer layer with a contouring memory foam interior. Bamboo-made covers can usually withstand machine washings. Buckwheat models cannot be washed, as the hulls will become damaged. You can, of course, wash the pillow cover on its own. Some cooling options come with a phase change material, or PCM, which regulates your body temperature. They are usually used in combination with contouring memory foam. These substances have a high heat of fusion melt and solidify at a specific temperature. While changing its state from liquid to solid, it can release heat to your body or absorb heat from your body. So basically, if you’re cold, it heats you up, and if you’re hot, it cools you down (no more sweaty head). If it sounds super clever, it’s because it is! NASA initially developed and tested PCM technology. PCM materials are usually used in conjunction with memory foam, which ruins if machine-washed. So, these pillows should only be hand washed. Memory foam seems to be the most popular material for cooling pillows. This material molds to the shape of your head and neck, relieving pressure points and providing firm support. They are denser and heavier than other types of pillow. For this reason, they are usually unsuitable for stomach sleepers due to their height. Some contain shredded memory foam, which is lighter, more moldable and tends to provide better airflow than solid foam, thus keeping you cooler. However, as shredded memory foam is not as dense, it may not give you the same level of support as standard memory foam. Memory foam pillows can come with an initial odor that customers often complain about. Most of these come with an advisory statement that says to air out your new pillow in a well-ventilated area for 24-72 hours to get rid of this scent. Another material found in cooling head pillows is gel fiber. This is breathable, washable, and made to feel just like down. It provides excellent support and but is much plusher and fluffier than memory foam. For all-natural, hypoallergenic, natural materials like buckwheat or bamboo are an excellent choice. It is imperative to choose a cooling/cold pillow for your particular sleeping style. You could get the best one on the market, but if it’s not right for you, your sleep will be affected. First of all, if you are a stomach or back sleeper, a thinner, soft to medium-firm model will be a better choice for you. 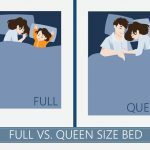 For side sleepers, extra firm, higher pillows are usually a better choice, as they provide better support for your neck. 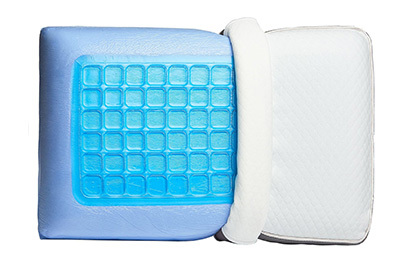 For back and side sleepers who suffer from neck, back, or shoulder pain, there are many different types of contoured cooling pillows, which have a curved design that adapts to your head, neck, and shoulders. These can help you maintain good spinal posture while keeping you cool at the same time. When you get a pillow, you want to stick with it for a while and create a bond with it, right? That’s why, when choosing a cooling pillow, you should check out the warranty on the product. This is an indicator of its quality. Quality products should have at least a 3-year warranty. While there are lots of pillows on the market offering maximum comfort, a cooling pillow goes that step further. They can provide ultimate comfort as well as a more relaxing sleep. They do this by keeping you cool throughout the night so that heat-build up does not disturb your slumber. If you have to use the air conditioner overnight, chances are you are running up some big electricity bills. By using a cold pillow, you can far reduce the amount you have it on, thus saving cash and the environment. These pillows are popular on the market right now and, as we have seen, they come in all shapes and sizes (so to speak). That means, whether you are looking for one that is hypoallergenic, made with memory foam, gusseted or classic, there is going to be one to suit you. If you tend to wake during the night feeling hot and bothered – perhaps you flip your pillow to the cooler side or go in search of a glass of water – a cooling option is probably a good choice for you. The cooling effect and breathability of these pillows can give hot sleepers a more restful, uninterrupted night’s sleep. They can be especially useful for hot sleepers during the summer months. They can also be a lifesaver for anyone who lives in a hot, humid climate. Research by the American Academy of Sleep has also shown that people with insomnia can be helped by cooling down the prefrontal cortex, which is the area of the brain just behind the forehead. So, if you suffer from this common sleep disorder, a cooling pillow could ease your restless sleep and help you drift off easier. Is There a Mattress Firm Cooling Pillow? Yes, there are multiple offerings available. These are typically with a concentration on materials with phase change capabilities. In addition, there are wicking properties in order to cut down on uncomfortable moisture for the sleeper. The different features work together to drive towards the ultimate goal of being comfortable with each use. Cooling pillows can be a lifesaver for those who have trouble getting a good night’s rest due to overheating or menopause symptoms; and they can also potentially help those with sleeping disorders, too. There are many different types on the market, which means there’s bound to be one to suit your sleeping habits. Remember: choosing the right cooling cushion for your sleeping style is crucial, as you want to be cool as well as comfortable. The models featured in this review are all excellent choices. 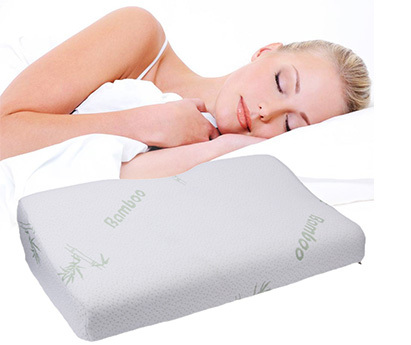 Our best rated cooling pillow is the Laniloha Orthopedic Bamboo orthopedic. First and foremost, it is designed not just with cooling in mind but also maximum comfort and support. Plus, it comes with cooling gel as well as a breathable and eco-friendly bamboo cover. What’s more, it is also suitable for allergy sufferers and can help combat snoring and migraines. So, it covers quite a lot of issues, don’t you think? Contoured Pillows. (2015). Retrieved from the web on June 7th, 2017. Kloc, Joe. Putting Insomnia on Ice. (2011, November 1). Retrieved from the web on June 7th, 2017. Mizuno K. Effects of Head Cooling on Human Sleep Stages and Body Temperature. (2003, May 16). Retrieved from the web on June 7th, 2017. Phase-Change Materials. (2016, Feb 11). Retrieved from the web on June 7th, 2017. Just wondering if you tested the Sheex brand cooling pillow? Not yet, but we’ll add it to our list! Has anyone else had issues with Soft tex cooling pillows? What are your findings on this pillow.